It's perhaps an unfair stereotype, but most footballers aren't credited for their intelligence away from the pitch, nor are they well regarded for the variety of their hobbies away from football. Whereas older pros occupied themselves with a round of golf or a day at the racetrack, most of today's footballers prefer plunking themselves down in front of a Playstation after training or perhaps going shopping for another expensive car. 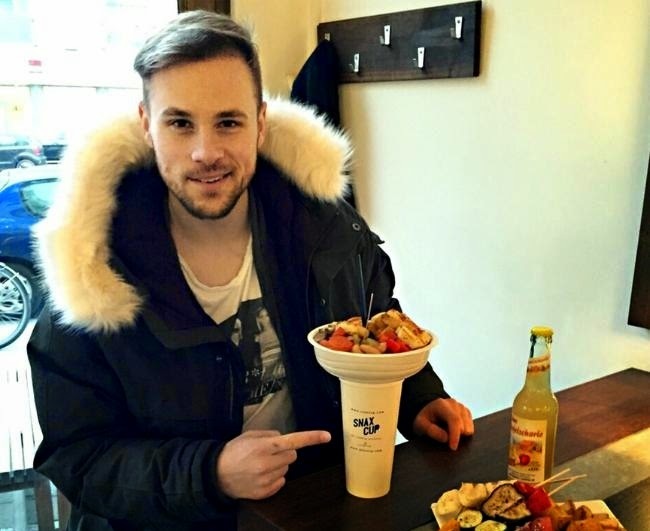 Maxi Beister, a 24 year old midfielder for Hamburger SV, has put his spare time to better use recently by securing a European patent for an invention he calls 'The Snaxcup'. The Snaxcup, which could really catch on with fast food lovers out there, is a disposal container that is designed to allow you to hold a drink and food in one hand. It consists of a cup base, which you would hold onto, and a top tray you could fill with popcorn or chips for example. The cup also has a straw poking through the food tray so you could wash down your unhealthy snack with some ice cold Diet Pepsi. The former German U21 international dreamed up this device after struggling to produce his movie ticket, due to his hands being full, on a trip to the cinema three years ago. 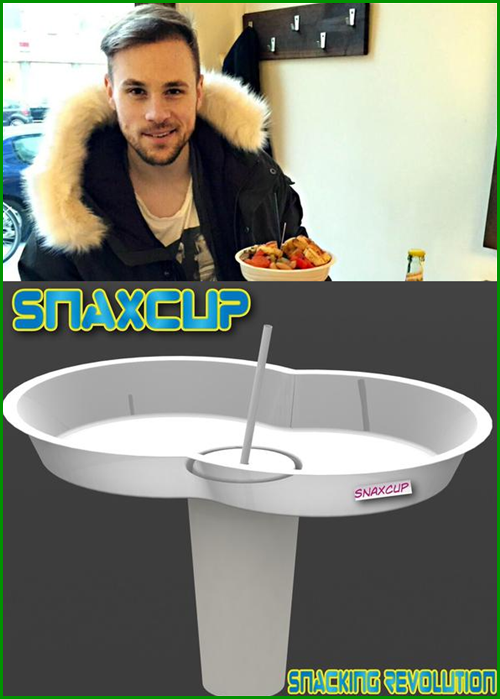 He will be testing a prototype of the Snaxcup during Hamburg's game against Mainz on Sunday. If this product takes off, and it just may as it's really not that terrible of an idea, Beister could be set for a career in snack container development once his football days come to an end. Great Idea. Wonderful. The most important invention since the wheel. That´s awesome. Now the Hamburger SV, will be Snax Cup Champion. So geil wie Arne Friedrich.